response from property - Apr 03, 2019 Thank you Gloria, we really appreciate the great review! Love living heresubmitted by David C. - Mar 15, 2019 |Recommended: YesIt's wonderful, it feels safe, the people are friendly. Lauren Hoffman is a wonderful person, very helpful. And the maintenance staff is great too. No complaints at all. response from property - Mar 19, 2019 Thanks David! We appreciate the great review and nice things you had to say about our staff. Please let us know if there is anything else we can do for you and we'd be happy to help! response from property - Feb 21, 2019 Thank you, Leneara! We love having you here! response from property - Feb 19, 2019 Thank you Icsha! We love having you here and hope you always have a great living experience in our community. Please let us know if there is anything else we can do for you and we'd be happy to help! Excellent customer servicesubmitted by Gina S. - Jan 11, 2019 |Recommended: YesMs. Hoffman works in the rental office and her disposition and demeanor is always pleasant and kind. She goes above and beyond to make sure that my home feels like home and it is always taken care of. she is always willing and ready to answer my phone calls and address any concerns I have with quick action. I am grateful to have her here knowing that if there is anything I need, I know it will be taken care of with a smile and grace. Thank you for that. response from property - Jan 11, 2019 Thank you so much Gina for those kind words! I'm lucky to have you as my resident! 4 starsubmitted by Robin O. - Dec 28, 2018 |Recommended: YesI would say I am satisfied and grateful. response from property - Dec 29, 2018 Thank you for your kind words, Robin! We are grateful to have such wonderful residents like you and Phil in our community! The property is very clean and friendly neighborssubmitted by Antoinette T. - May 12, 2018 |Recommended: YesThe community is very quiet and the staff friendly and very responsive to it's residents. I have lived here for 2 years and have never had an issue that wasn't addressed immediately. Thank you Hamilton Park Apts. response from property - May 14, 2018 That's great to hear, Antoinette! Thank you for the great review and feedback; we appreciate it! Let us know if there is anything else we can do for you! Good Place to Live submitted by Shameka B. - Nov 06, 2017 |Recommended: YesMy apartment is cozy and comfy I am glad I made the choice to live here. response from property - Nov 07, 2017 Thank you Shameka, it's good to hear you are enjoying your apartment! Please let us know if there is anything else we can do for you. response from property - Jul 12, 2017 Nolan, Thank you for recommending Hamilton Park Apartments, and for the wonderful review of our community. We're glad to hear you've enjoyed stay here, and that we've helped make your experience a positive one. If there is anything else we can do, please let us know. response from property - Jan 05, 2017 Thank you, Sharon, for the great review! We're glad you're enjoying your stay, please let us know if there is anything else we can do for you! Homesubmitted by Tierra P. - Nov 01, 2016 |Recommended: YesA nice, quiet community tucked away from all the happenings of Belair Road. Spacious rooms and floorplan, reasonably priced...a great value for your money. response from property - Nov 01, 2016 Thank you Tierra! We appreciate you taking the time to rate our community and are glad you've enjoyed yourself. Please let us know if there is anything else we can do for you! Wonderful Apartmentssubmitted by Jermaine - Oct 31, 2016 |Recommended: YesI just moved here a little over a month and I have been impressed and happy since coming to here the apartment manager is amazing and the maintenance is great , they are always willing to help and in the community everyone speaks and is very friendly, the neighborhood is nice and peaceful , and the grounds are kept nice and clean. I have not stayed in an apartment in a long time and i have to say coming here was a great decision i would recommend making Hamilton park a place to call home . response from property - Nov 01, 2016 Thank you Jermaine! We're so glad you're enjoying your stay so far and that we've had an impact on it as well. If there is anything else we can do to make your stay enjoyable going forward, please do not hesitate to let us know! Thanks again! 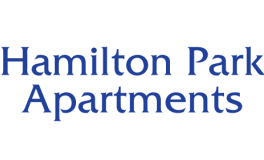 response from property - Apr 12, 2016 Dear Phyllis, Thank you for the great review of Hamilton Park! We appreciate you taking the time to rate our community. If there is anything else we can do to keep your experience here a positive one, please feel free to let us know!